Do You Have the Best Grandparent Hands Down? 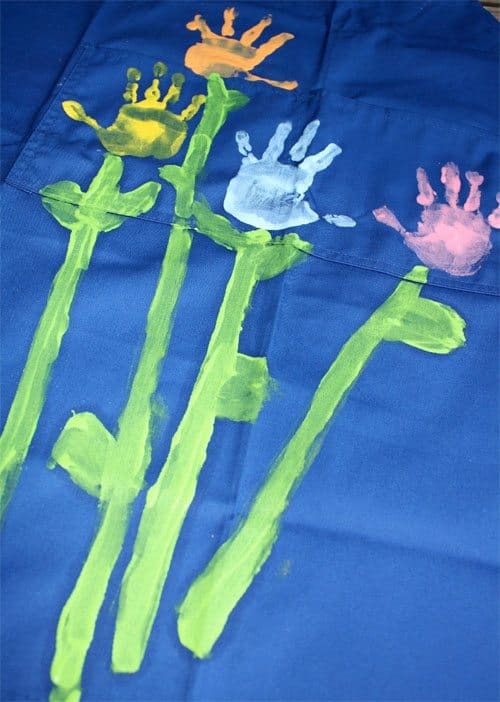 If you have the best grandma (and/or grandpa) hands down then treat her (or him) to this handprint flower apron to celebrate National Grandparent’s Day, which is always the Sunday after Labor Day. Just a few supplies and you have the perfect gift in the making! We found our apron at Sam’s Wholesale. They can also be found at craft supply stores. 1. 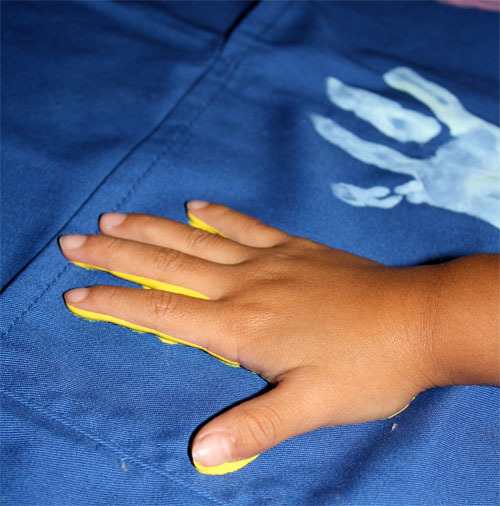 Dip child’s hand in paint and then press onto apron. Be sure to place something under the apron incase the paint bleeds through the apron. 2. Next have your child paint some stems and leaves. (After we finished my son said we should have used footprints for the leaves — a cute idea.) Acrylic paints are permanent once dry. 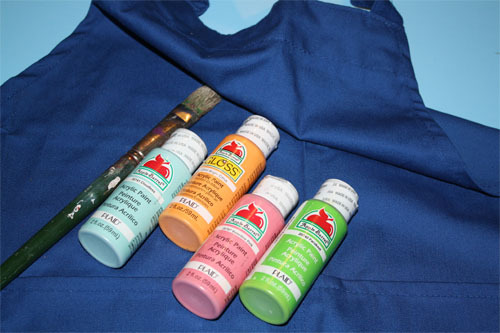 There is no need to heat-set acrylic paint. 3. You could write on the apron with a paint pen “Best Grandma (or Grandpa) Hands Down!” or leave it plain and attach a card with the sentiment! 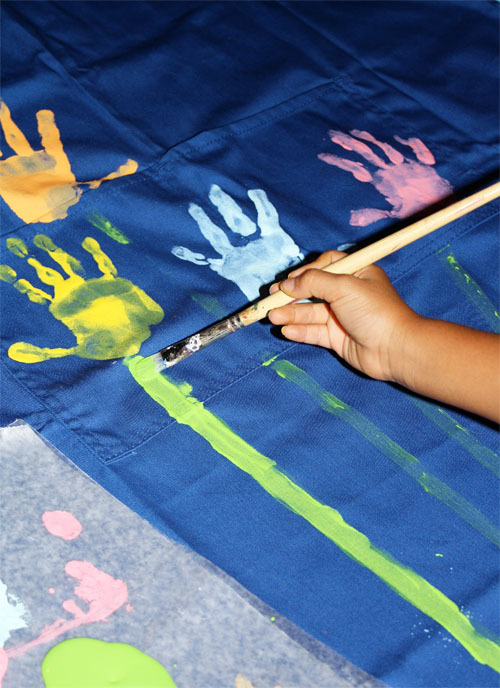 This is a great idea, my mom doesn’t really use an apron BUT I was thinking that I could make her a tablecloth. Does it matter what kind of material I use to make sure the acrylic sticks. Thant would really stink if I do it and it goes away in the wash. Thanks Cathy that is a great tip. If you do use fabric medium follow directions on the bottle — it will need to be heat set.